The semiconductor industry will see its "largest-ever price correction," next year, according to a report published by The Register. It credits Objective Analysis' Jim Handy, speaking at the recent Flash Memory Summit, with this assertion. The reason for the impending price collapse, which will see NAND pricing hit 8 cents per gigabyte (GB), is simple oversupply. HEXUS commented upon similar observations, garnered from Taiwan's DigiTimes industry sources, back in June. The best part of the new report upon Jim Handy's presentation, and The Register report, is that we get some interesting projections about just how far NAND flash prices can descend. Handy's headlining claim is that pricing could fall to very close to that of production costs for 64-layer 3D NAND - as low as 8 cents per GB in 2019. Currently NAND flash pricing is approx 30 cents per GB. In our previous article on NAND oversupply it was noted that greater capacity by both established players and new Chinese factories was going to come online within the next few months. In addition to this companies like Samsung are starting to introduce QLC (4-bits per cell) technology which makes greater capacity SSDs cheaper. If operations managers can predict the upcoming significant decline in NAND pricing they could instead migrate manufacturing capacity to making DRAM instead, suggested Handy in his presentation. If that is practical it sounds like an appealing idea as DRAM is weighing heavily on the PC component pricing mix at this time. Oh boy, roll on next year then. The thought of replacing ALL drives with SSD would make me a happy man. Yes I know I'm easily pleased. Can't help but feel the same way. Yea, I doubt consumers will feel the benefit much, prices may normalise slightly but the bulk of the price drops will just result in higher profit margins that will be justified by R&D and shareholder demands + other unrelated expensive costs of whatever devices will include said chips. 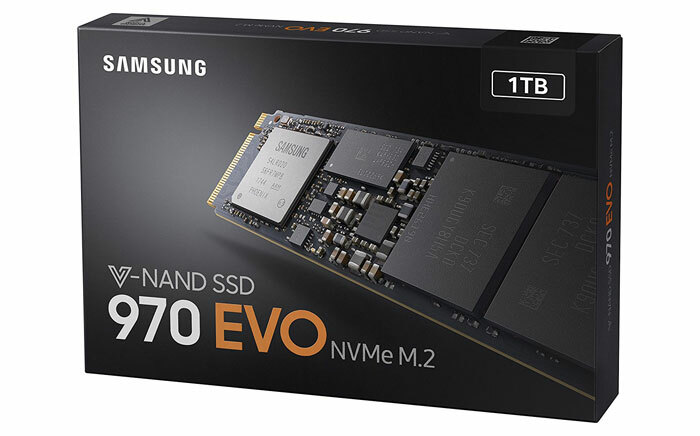 I have an issue with these figures - a quick glance at NewEgg shows that consumer SSD prices are already at 30 cents/GB - not really possible if NAND Flash is meant to be 30 cents/GB without considering the fixed costs of an SSD…. I mean, I'm not going to complain if that means consumer SSDs will come down to les than 10 cents/GB, but as things stand the claim of 30 cents/GB for NAND flash doesn't add up….